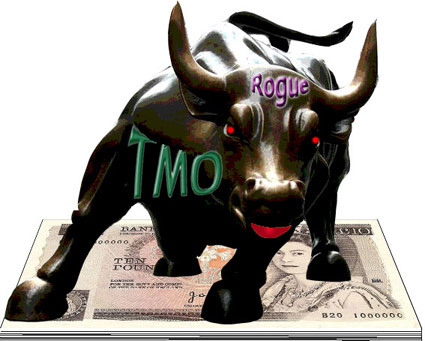 Here are some examples of Rogue TMOs - this is what can happen if you have one ruling your estate. Tabard Gardens - Southwark - ran up £400,000 of debts, all sorts of problems, collapsed, lost Southwark Council a huge amount of money. See the Freedom of Information Act report. Perronet House - Southwark - residents running the committee were alleged to have let some leaseholders off their service charges. Taken back into Council control. Penwith Manor TMO - Lambeth - Closed down because the Chair and the Executive Director went to expensive conferences in posh hotels and billed the TMO for these jaunts. Overspent its budget massively. Cedars TMO - Lambeth - Executive Director used TMOs money to carry out works on his own property which was outside the borough. Favoured residents refused to get rid of him. Cowley EMB - Lambeth - After he used to go into the office late at night to watch dubious videos, the Chair was thrown out amidst great acrimony - something he never forgave them for and he pursued vindictive complaints and court cases for years afterwards. This TMO has been turned around and now is much better. The flagship TMO Kensington and Chelsea TMO which manages 9000 properties has been in turmoil for years. www.ratmo.org.uk. See Private Eye article. "Years of grievances on the part of K & C tenants centre on poor governance and questionable financial practices by board members." Private Eye. Loughborough Estate TMO - Lambeth - went £400,000 over budget and the Council had to bail it out - which means that money was taken from some other part of Lambeth's budget. Juniper House TMO - Southwark - this was the first TMO created in Southwark 25 years ago. It used to be a very good community to live in and the TMO was successful, but it has fallen into the grip of a clique who run the 74 properties. There is an astonishing amount of corruption and favouritism, including the Chair of the Board appointing herself to the Executive Director (Paid Worker) post without a board meeting, or any sort of proper process. See www.juniperhouse.info. We will be bringing you more information on this scandal soon. TMOs are Private Limited Companies. Many anti-TMO activists believe that they are a way to soften up residents for eventual privatisation, and that they can more easily be turned into privatised Housing Associations than ordinary council estates. The defunct Tabard Gardens TMO (Southwark) committee always claimed that there would be no attempt at privatisation, but the moment a tiny, unrepresentative group got into power, they started the process of transferring the estate to a Housing Association - Privatisation. Poplar Harca Housing Association -Tower Hamlets - took over Lansbury West TMO in 2005, seizing its offices and assets. Myatt's Field North TMO - Lambeth - was privatised by a Private Finance Initiative (PFI) corporation as the PFI would not invest in a TMO. Ethelred, Magdalen and Thorlands TMOs - Lambeth - have formed the Lambeth Alliance of Tenant Management Associations (LATMOS) with the aim of stock transferring their 1100 properties to a Housing Association with a ballot in early 2011. If you know of some other Rogue TMOs - please let us have the information, so we can give people the complete picture of what can happen if you go down this route.